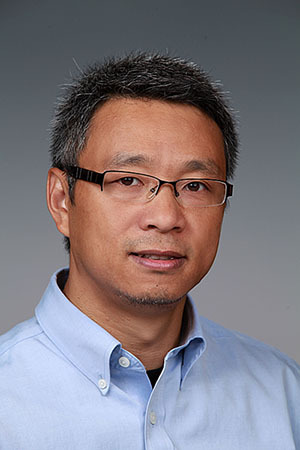 A leading expert in atmospheric circulation, Dr. Jian Lu of Pacific Northwest National Laboratory is lead author of a chapter on the Hadley circulation for the second edition of the Encyclopedia of Atmospheric Sciences published by Elsevier. The six-volume set covers all aspects of atmospheric sciences. The second edition is a revised version of the popular first edition covering a broad range of topics such as atmospheric chemistry, global change, circulation and weather prediction. The publication provides information for general, academic and scientific readers. Lu's chapter on the Hadley circulation presents the background, description and climate impacts of this dynamical atmospheric force. Alternately called the Hadley cell, the atmospheric feature girdles the globe from the equator to about 30 degrees north and south. The air in the cells rises in the tropics and sinks in the subtropics and, according to the article, "is a classic example of a thermodynamic ‘heat engine'" for the Earth. The new edition is available from Elsevier. Lu is an atmospheric scientist at PNNL working on Hadley cell dynamics, atmospheric circulation and global warming, and the dynamics of extreme weather and climate events. He has a Ph.D. in Physical Oceanography from the Ocean University of China and a Ph.D. in Atmospheric Science from Dalhousie University in Canada.